Low motivation is something that everyone will face at some time or another. For students, it can become an overriding outlook towards schoolwork and studies. If unchecked, this leads to negative outcomes during their school career. Worse still, this can cause a downward spiral of further low motivation and demoralisation. Children with learning difficulties are at risk of falling into this pattern. What causes low motivation in school children? Different children have different triggers for low drive regarding schoolwork and other activities. These include fear of failure, low self-esteem, belief or feelings that the content has no personal meaning for them, or previous experiences of failure. In this case, the child thinks they will fail again, so why try? Parents and teachers need to break the cycle of low motivation by arranging positive academic experiences. How can teachers counter low motivation in learners? Studies have shown that having a more non-competitive, student-focused approach in the classroom leads to an improvement in motivation. This contrasts with a grades-focused approach, which has been shown to lead to low motivation. This means that realistic, tailored goals are more effective at reducing low motivation. For instance, encouraging a “D” student to move to “C” based on his or her own merits is better than trying to tell the student to be more like the “A” students in the class. It is also very important for teachers to find ways to show how the topics covered in the classroom have bearing on the children’s own experiences. Learning about subjects that seem abstract or distant from a child’s own reality will compound low motivation. Finding ways to give the children more say in the choice of what assignments and homework they complete has also been shown to be helpful. In this way, educators produce students who choose more challenging work with greater enthusiasm. Loving, non-judgmental interaction is what children crave. Knowing that they have love and acceptance from their parents is vital and of utmost importance in countering low motivation. Create an environment in which they can express their reasons for low motivation. Try not to respond with anger. This will help a child to progress past the apathy. Studies also show that rewards and punishment are not long-term solutions to low motivation. If parents can rather find ways of encouraging their children, that will go a long way to motivating them to tackle parts of the projects that they find less appealing. For example, begin with the small parts in an assignment that the child does want to tackle. Continue to break the project down into smaller actions. The child will feel less resistance to these small steps if the scope of the entire project is demotivating. 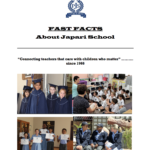 At Japari we want to produce self-motivated children who will grow to be self-motivated adults. This is accomplished when the children learn to enjoy their own strengths and also to enjoy doing what they do best. We all need to be able to navigate our way through times of low motivation. With a loving environment at home and a nurturing school environment at Japari, we know that our learners will become children who will pursue being the best they can be.